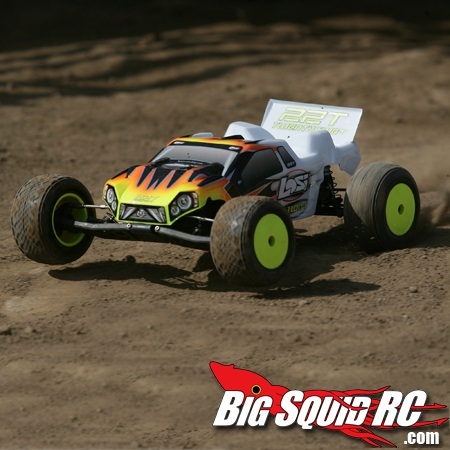 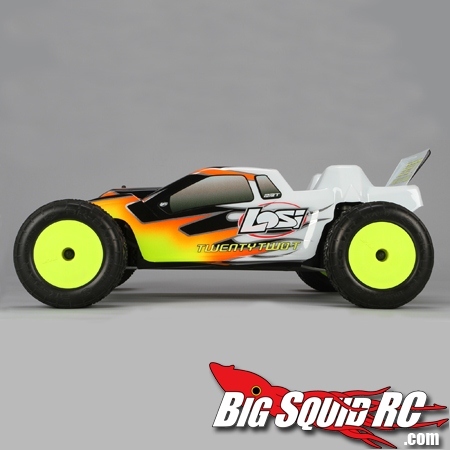 Losi 22T RTR « Big Squid RC – RC Car and Truck News, Reviews, Videos, and More! 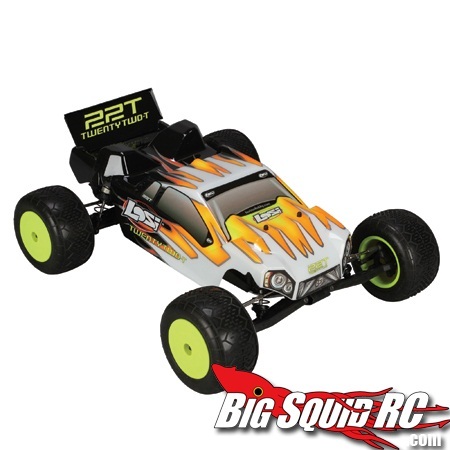 After the success of it’s buggy counterpart, Team Losi have made a ready-to-run Stadium Truck version: the 22T. 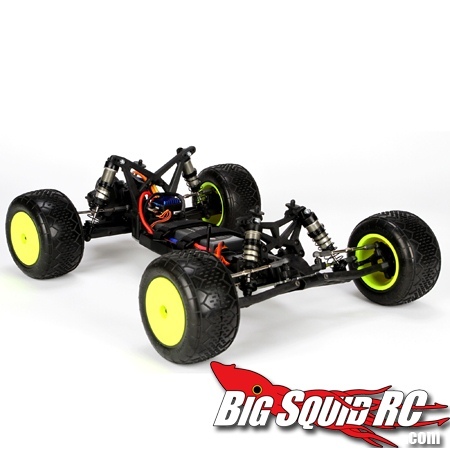 This has got to be one of the most advanced RTR’s on the market at the moment. 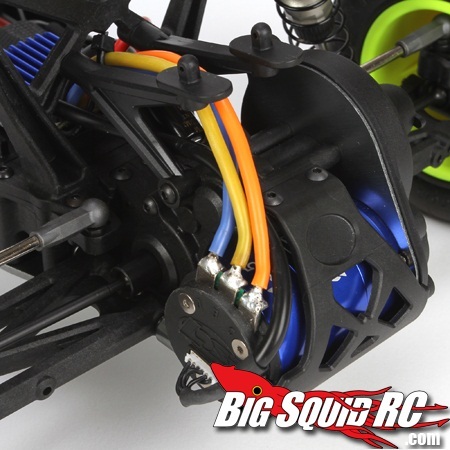 Inside, you get a Spektrum DX3E radio with a SR300 receiver, a 13.5t sensored brushless system, gull wing suspension arms and a newly designed bearing free steering rack. 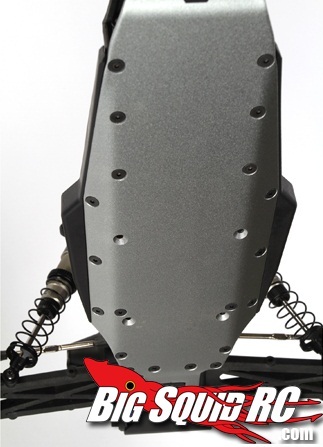 The 22T seems to have also been designed with durability in mind, sporting extra thick turnbuckles and a 2.5mm thick aluminum chassis. 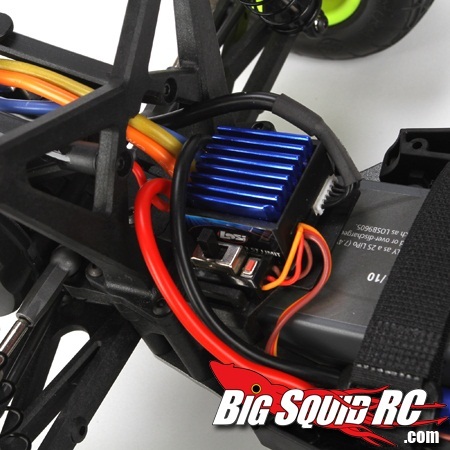 For the full spec, head over to the Team Losi website!